New York, February 22, 2018 – MicroMax announced today that it will exhibit new models of its rugged computer systems and give an updated M-Max Platforms Roadmap at Embedded World 2018, February 27th to March 1st in Nuremberg, Germany. MicroMax’s newest systems extend its M-Max platforms line. MicroMax will demonstrate new extremely rugged systems especially designed to house PC/104 boards to build high performance systems using passive cooling. One emerging star is MicroMax’s Quad Core rugged industrial computer with data acquisition features for tough environments, the M-Max 771 PR7. Based on the VITA 75 standard, it has passed all required tests and been certified to comply with MIL-STD-810G and airborne MIL-STD-704F. Providing shock protection up to 40g and vibration protection up to 2.5g, the M-Max 771 PR7 is IP66 rated and can operate under extreme temperatures from -40 to +70 °C, dust and humidity. Another showpiece is the extremely low-power M-Max 640 LP/MMS, a rugged industrial computer offering operation at a bare 4 watts. Designed for reliable operation in harsh environments in critical applications, it utilizes MicroMax’s technology for passive cooling. The sealed system enclosure with IP66-rated protection is designed specifically for PC/104 form-factor boards. Providing shock protection up to 10g and vibration protection up to 2.5g, the M-Max 640 LP/MMS can operate under extreme temperatures from -40 to +70 °C, tolerating dust and humidity. MicroMax will also present its M-Max Platforms Roadmap covering the newest line of platforms designed to house PC/104 boards. The Roadmap is extended with the 6XX LP, 8XX DT and 9XX CU platforms, which enable fulfilling a range of tough application challenges. All MicroMax systems on display at the forum illustrate the high potential of the PC/104 form factor in building highly rugged high performance systems. 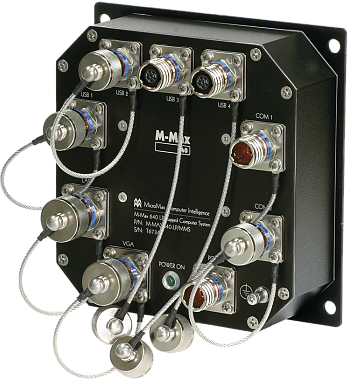 The compact design of MicroMax’s newest enclosures allows use in very confined spaces. Additionally, their strong defense against environmental ingress enables reliable outdoor installation. If you will be attending Embedded World please stop by at booth 2-529 in Hall 2.